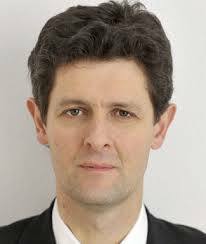 The Foundation is delighted to welcome the return of Hugh Pym, the BBC’s Chief Health Correspondent. Educated at Marlborough College, followed by Christ Church College at the University of Oxford, he graduated in Philosophy, Politics and Economics in 1981. A renowned political journalist and published author, Hugh began his career in the late 1980s as a BBC radio journalist and then became producer of Business Daily at Channel 4. Throughout the 1990s he was a correspondent with ITN and also worked as a freelance broadcaster with Sky Television. He was a BBC special correspondent covering economics until 2008. A familiar face on television he was appointed Chief Health Correspondent at the BBC in 2014. Hugh has published two books: What Happened? And Other Questions About the Credit Crunch and A Study Of Gordon Brown’s First Year in Office as Chancellor of the Exchequer, both books were co-written with Nick Kochan. Hugh stood as Liberal Democrat parliamentary candidate in the North Wiltshire constituency in the 2001 General Election. He is married with three children and lives in Wiltshire. Please note that Lunch with Hugh Pym follows a different format to the usual Crichton Conversations. Lunch will be served at 12:30pm and will be followed by the lecture at 2pm. Tickets for lunch followed by the lecture are £16, tickets for the lecture only are also available at £5.